Bring old hard- and software back to life again! 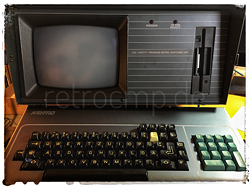 The main focus of this website are the old floppy drives such as the Shugart 860 und 851, the Misubishi M2896-63 or the NEC 1165 (all 8 inch drives). This website has also mainly the purpose of my technical diary or documentation. With time, I forget a lot of things. I just don't get younger ;-). Special note on downloads: If downloads are offered on this website, the download is always at the user's own risk. Although all downloadable files were checked with a current antivirus program and current virus signatures at the time the respective website was created, the operator can NOT guarantee the actual absence of viruses!